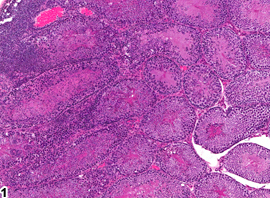 Testis - Inflammation in a male B6C3F1 mouse from a chronic study. 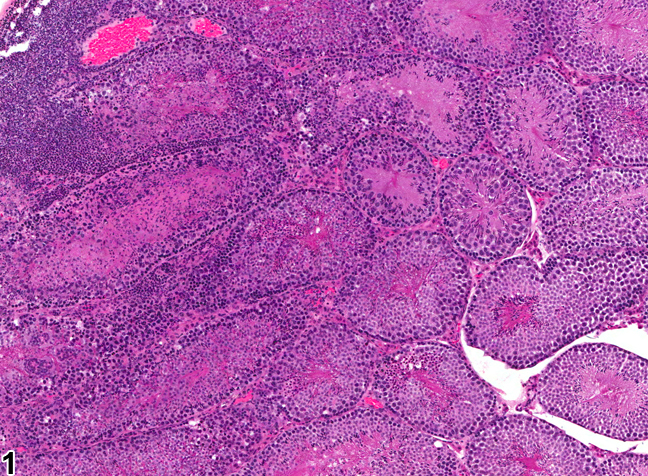 Acute inflammation of the testis. 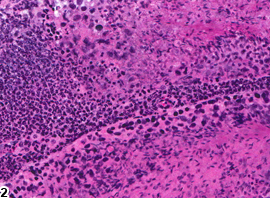 Testis - Inflammation in a male B6C3F1 mouse from a chronic study. 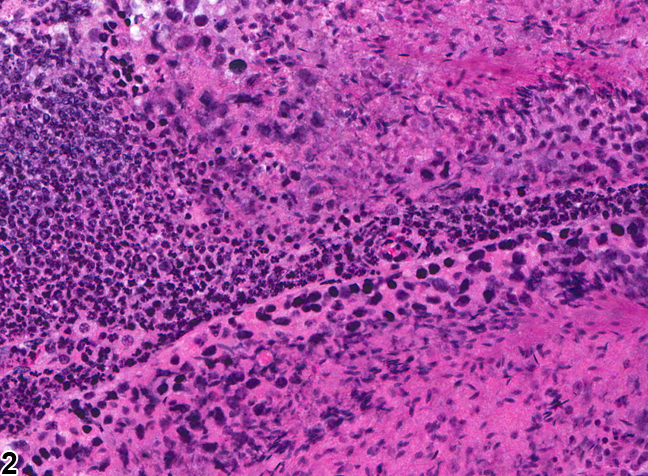 Acute inflammation of the testis; the inflammatory cells are primarily neutrophils.